Have Danes Found the Best Way to Betterment? Probably! Presumably, brewing company Carlsberg and creative agency Fold7 have found the best way to stay positive, no matter what happens. The two entities inserted their creative findings into the already existing “Betterment” study, which was conducted in Denmark. The discovered facts were then made public to the Danes on January 25th. Don’t you guys worry, the results will also be visible across other European markets pretty soon. 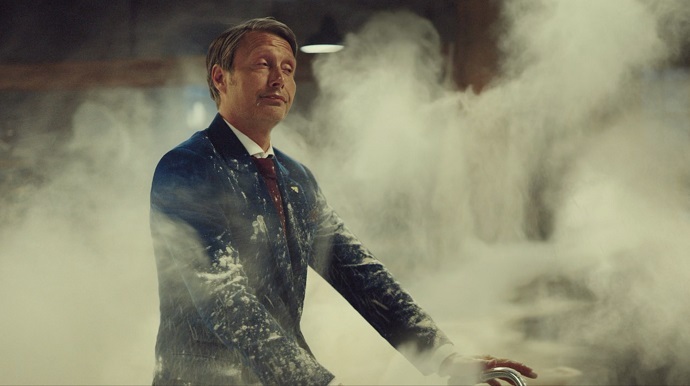 The London-based agency hired no other than the star of the Hannibal TV series, the Danish actor Mads Mikkelsen, as the one who guides us through this impressive visual campaign. Spotted cycling in the streets of Denmark, the artist who ingeniously found “The Danish Way” is now reflecting upon an idea that anything in the world can be optimistically boosted with a positive outlook. 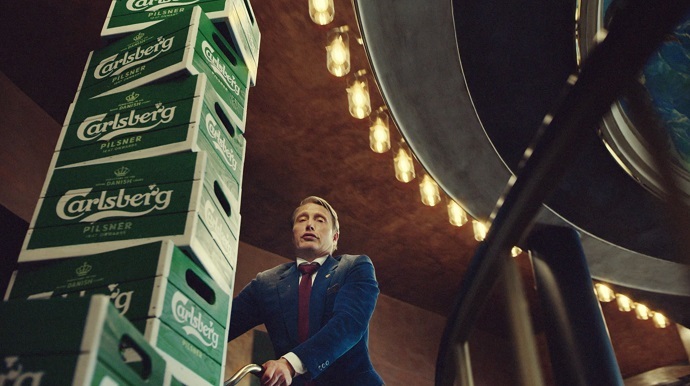 Mikkelsen was hired to express Carlsberg’s brand philosophy and real spirit. He does indeed succeed to express the company’s true core values through two videos, courtesy of Fold7, which rank among the best Carlsberg ads we’ve seen so far. Probably! The first spot titled “The Delivery” unveils Mikkelsen going on a ride through the Danish streets. 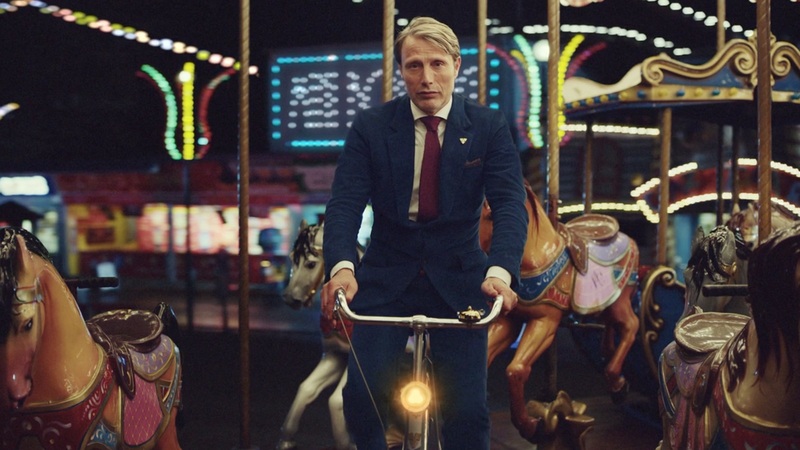 He passes through a fun fair, bakery, and finally a bar, always illustrating the real meaning of “betterment.” As he wanders from one place to another, he mentions the reinvention of the wheel as a nod to the famous Danish Christiana bike. Then, he highlights the Danish twist that ultimately improved the classic pastry. Lastly, he comments on the small details and refinements that have made Carlsberg the most balanced beer in the world. Probably! “We are continuing on our path to substantiate why we are ‘Probably the best beer in the world’ which reflects our uniquely Danish mindset and the philosophy of our founder of always pursuing better, which has driven the brand since its creation in 1847,” said Julian Marsili, Global Brand Director, Carlsberg. Another short film titled “Snap Pack” supports the 50-second-long video to let the world know about Carlsberg’s sustainable packaging. Committed to helping the earth regenerate, the company pledged to reduce plastic use for its cans. By using revolutionary new technology, Carlsberg hopes to play an important role in giving a helping hand to Mother Nature. “The Snap Pack innovation is now rolled out in the UK, Norway and our home market, Denmark, and is one demonstration of Carlsberg’s commitment to helping consumers live more sustainable lives while moving quality to an even higher level. The 76% reduction of plastic around our six-packs is part of a broader environmental pledge in our sustainability programme, Together Towards ZERO, aiming at reducing CO2 and water waste,” continues Marsili. Ryan Newey, Founder and Chief Creative Officer, Fold7, added: “The Carlsberg story is so rich it’s challenging to decide which part of the story to share next. The campaign continues to embody everything Carlsberg’s quintessentially Danish philosophy has to offer, whilst also demonstrating its sensitivity to the increasing environmental issues we are facing.